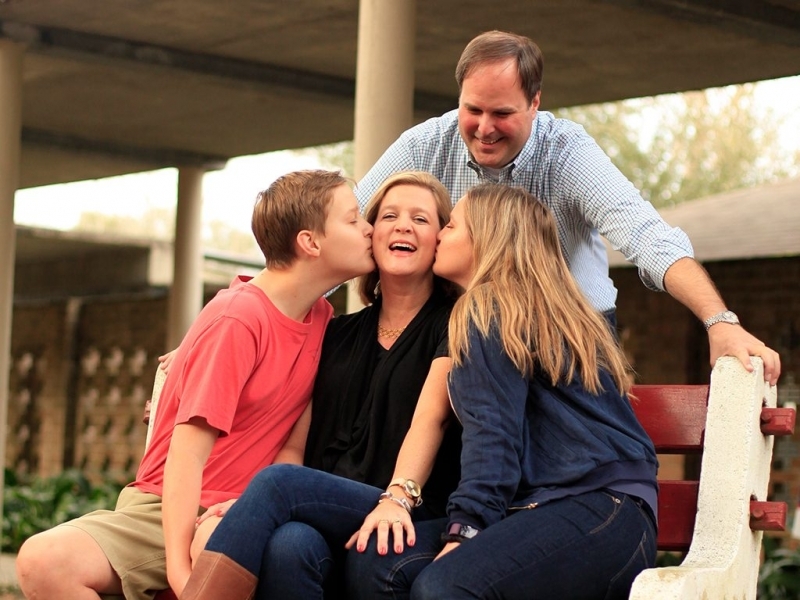 Lori Heroman spends her days helping families improve their relationships and lives. She often stresses the importance of family time and works hard to maintain a good home and work balance. In order to help keep that balance, Lori strived to find a career that would work around having a family, which meant flexible hours that would enable her to spend as much time with her family as she could. However, she doesn’t forget about her needs, either. Among the many things she does throughout the day, Lori tries to always find time to go for a run, work in the yard, or indulge in her guilty pleasure of reading gossip magazines while soaking in a hot bath. It varies because of work. Most days, I will get up, bring my son to school, and go to work. If it is not a work day, I’ll go exercise and take my children to appointments and run errands. It’s my second job. We met on a blind date, and it was a marathon date. We went to an NBA game in New Orleans and ended up staying out until 4 a.m.
“You’ve Gotta Have Faith.” Having faith is very important to our family. 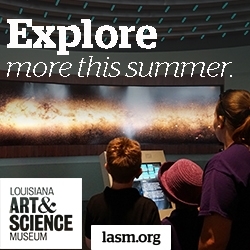 What’s your favorite thing to do around Baton Rouge with your family? We love to go to Perkins Rowe, eat at California Pizza Kitchen, and go see a movie. Also, I am very involved with National Charity League which is a mother/daughter charity organization in Baton Rouge. My daughter and I are members, and we go out together and volunteer in the community. Kind, fun (I hope), and trustworthy. Their body language. With my job, I am so used to being able to read nonverbal cues to see if someone is open to conversing. Most recently, my son reminded me of his own punishment. I had forgotten and one day, I walked in and he was reading a book instead of watching television. I asked him what he was doing and he said he couldn’t watch television because that was part of his punishment. Throwing out something the kids needed. I am notorious for cleaning out clutter, but not always so great at making sure it isn’t needed before throwing it out. I am getting better, though. Prioritizing. I want to meet the needs of my family but also balance it with the needs and commitments of work. I have a lot of support and a great husband. Number one rule that your kids aren’t allowed to break? For my daughter, it is having her phone out while she is driving. I reiterate that rule every time she gets into the car. For my son, it is allowing me to approve his Instagram friend requests. Being able to witness them become the people that God wanted them to be. Abraham Lincoln. I love him, and I have read a lot about him. I would ask him how he managed the pressure of everything. Disciplining and setting rules for your children. Conscientiousness. I am very conscious of all of the work I do. If I say I am going to do something, I will fulfill it. I am one of five and I am from Mississippi. A lot of people think I am from Baton Rouge because of my last name. Democratic, because my husband and I have set rules and boundaries, but we do encourage them to communicate with us. We will always hear them out, but we may not approve of everything. What advice do you often give the children who come to you for counseling? That it’s important to talk about feelings because it can make you feel better. It has deepened my own faith, because it has brought me so many blessings. It has made me see the world through my children’s eyes. Don’t feel like you have to do everything. Enjoy time together, because it goes by fast. Before kids, I never thought I would… have a messy house. The parenting item I couldn’t live without… iPhone, especially with having teens. In my fridge, you will always find… yogurt. Favorite movie growing up… Sixteen Candles. My guilty pleasure is… gossip magazines. I like People and Us Weekly. Growing up, I knew I wanted to… help people. I can’t stop listening to… Dolly Parton, Adele, and Carrie Underwood.